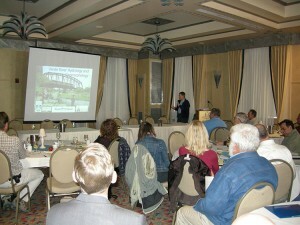 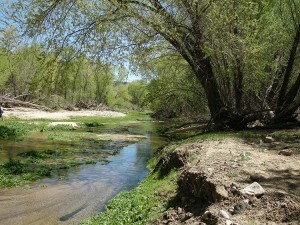 The Verde River Ecosystem: Are Growth and Conservation Mutually Exclusive? 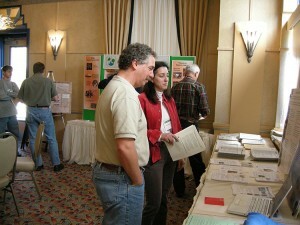 This was followed by a technical session in the afternoon of submitted presentations. 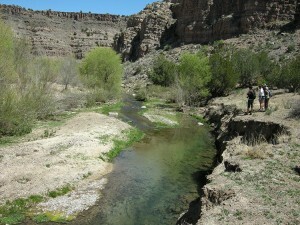 Our field trip on Saturday was to the headwater springs of the Verde River. 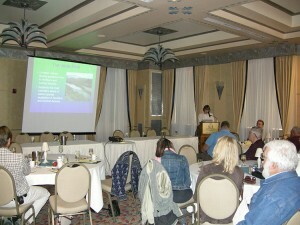 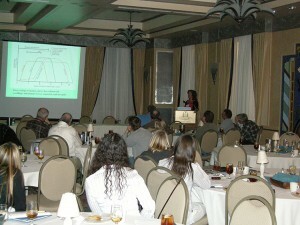 Presentation about the hydrology of the Verde headwaters and the middle Verde. 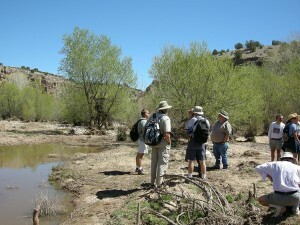 Field trip overlook of Verde River. 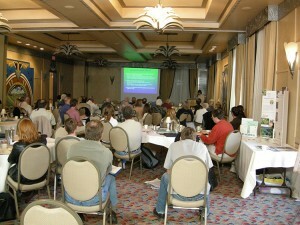 Field trip group at Stillman Lake. 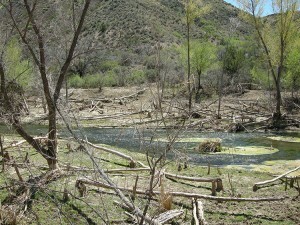 Trees downed by beavers along Verde River.